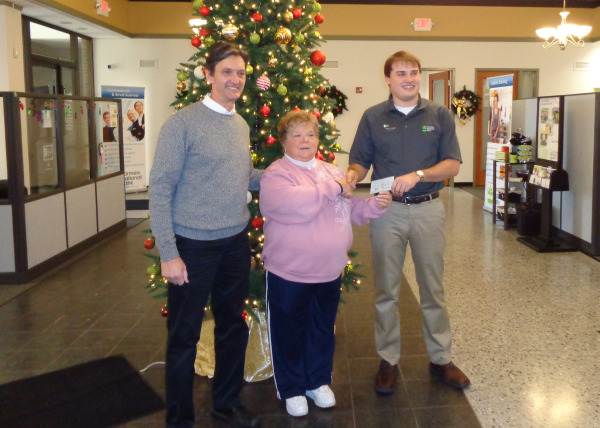 Farmers donates $2,500 to The Union Enhancement Foundation. . . 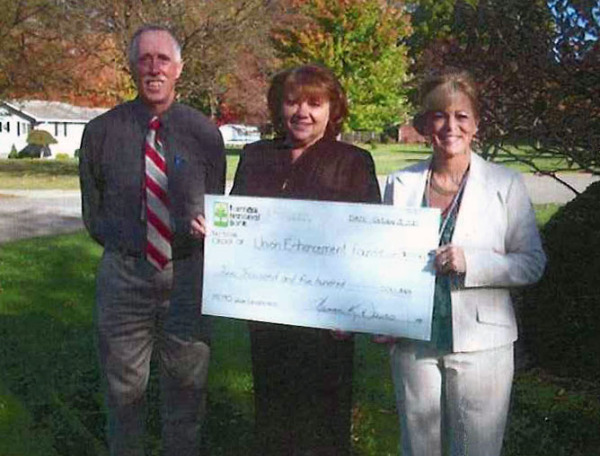 The Farmers National Bank of Emlenton recently donated $2,500 to The Union Enhancement Foundation as part of the Pennsylvania Educational Improvement Tax Credit (EITC) program. Farmers presented with 2013 Bridgeway Capital Impact Award. 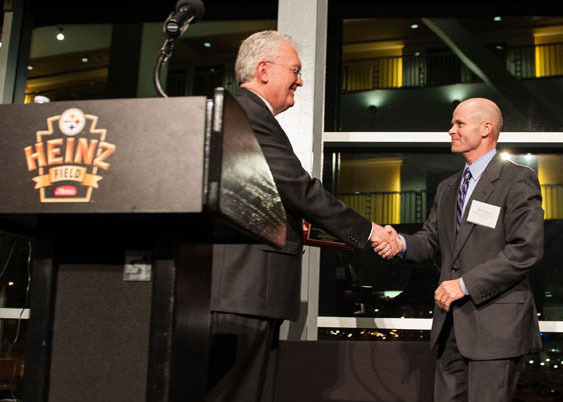 . .
At the Bridgeway Capital Annual Event, The Farmers National Bank of Emlenton, was awarded the 2013 Impact Award. 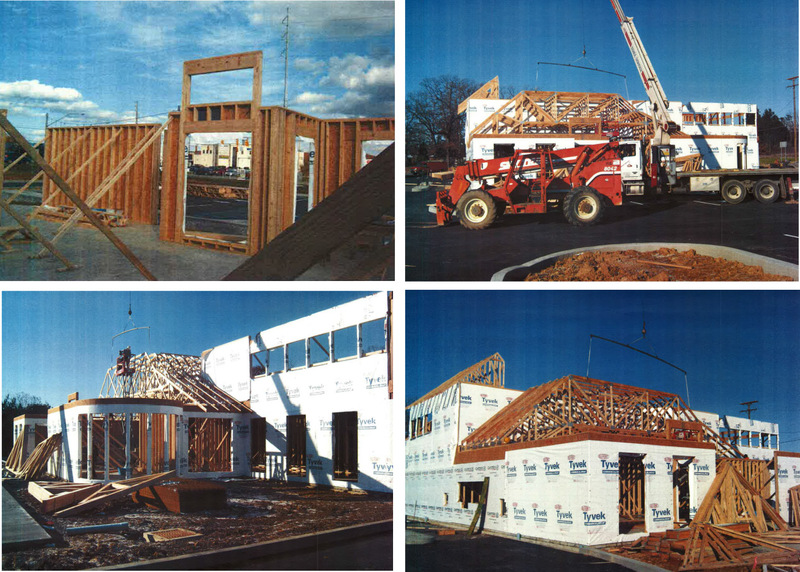 Farmers National Bank Cranberry Township Construction Progress. . . Please enjoy the following photos as we construct our fifteenth full-service banking office in Cranberry Township, Pennsylvania. We will be posting additional photos, so visit again soon. Allison joins Farmers as Branch Manager. . . 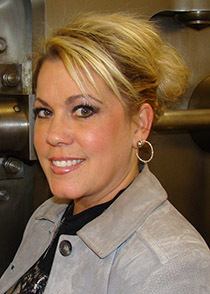 The Farmers National Bank of Emlenton announced that Kelli L. Allison has been named Branch Manager of the DuBois office. 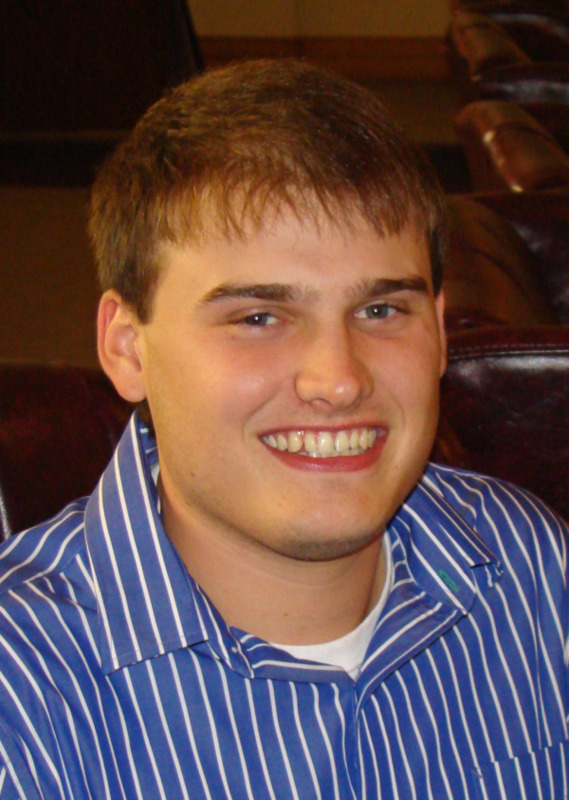 Basham joins Farmers as Human Resources Manager. . . The Farmers National Bank of Emlenton announced that Brittany A. Basham has joined the organization as Human Resources Manager. 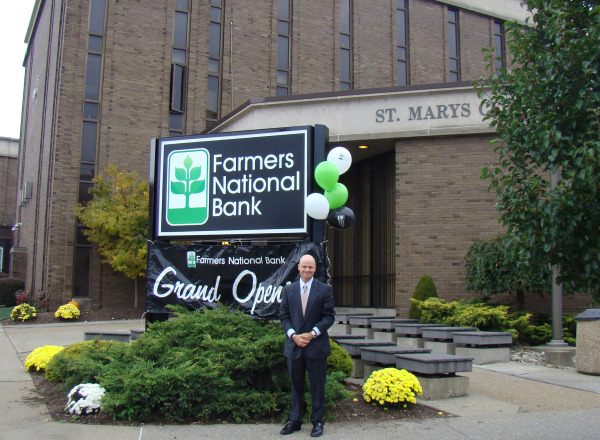 Farmers National Bank Opens Second Elk County Office in St. Marys. . . The Farmers National Bank of Emlenton announced that it has opened its fourteenth full-service branch banking office and second office in Elk County, Pennsylvania in the City Hall Building of Saint Marys, Pennsylvania. Carrow Joins Farmers as Assistant Manager. . .
joined the Bank as Assistant Manager of the St. Marys and Ridgway offices. In this position, Mr. Carrow will be responsible for overseeing daily operations in the full-service banking offices, developing customer relationships and tending to customer service needs. Mr. Carrow will be assisting Heather Serafini, Assistant Vice President, Branch Manager of the Ridgway and St. Marys banking offices.